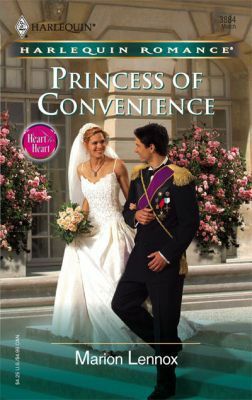 A CONVENIENT MARRIAGE -- TO A PRINCE! Raoul needs a bride, fast, if he's to be Prince Regent of Alp d'Azuri. He'd rather carry on his work as a doctor with a medical aid agency, but his country's future is at stake -- and so is his nephew's life. Beautiful yet vulnerable Jessica Devlin agrees to marry Raoul, but she will return home to Australia the next day. She could all too easily risk her heart in a place like this, married to a man like Raoul. Except Raoul is a man with a heart big enough not only to save a country, but to heal her broken heart, too.